Animal activists have released another undercover video showing what they claim are abusive practices at a New York dairy operation. The two-minute video released last month shows workers herding animals with poles and electric prods, inseminating cows, tail-docking and includes a close-up photograph of a cow’s prolapsed uterus (a common, easily treated condition following calving). The video also shows a worker disbudding young calves with an electric dehorner; the group’s website claims workers “lop[ped] off” the horns of older calves, although there is no video shown to support this. This organization is now urging the public to email one of the dairy’s customers, a cooperative supplier, and request the company adopt the group’s own “reasonable” animal welfare guidelines. These guidelines call for the elimination of a number of industry and management practices, including dehorning. The dairy in question has been welfare-certified by the New York State Cattle Health Assurance Program (NYSCHA) (a process in which every animal on the farm is examined by a veterinarian), and we will not debate its welfare practices here. What we find distasteful is this activist group’s purported interest in advancing farm animal welfare when its real agenda is promoting a vegan diet. Sensationalist undercover videos are less about improving the ways animals are cared for than about supporting legislation that will eventually drive food animal production overseas. What’s more, proposing a total ban on basic management procedures like dehorning is both unrealistic and unsafe. Animal with horns present a very real threat to humans, other cows, dogs and horses. The American Veterinary Medical Association knows this, and has long endorsed the practice of dehorning, provided steps are taken to minimize pain and distress. Animal activist groups might better advance their objectives to “improve the lives of cows and calves on dairy farms” by meeting farmers halfway, i.e., encouraging the adoption of early-age disbudding with caustic paste. This practice has been shown in studies to cause significantly less pain than dehorning with a hot-iron, and helps improve the safety of both humans and animals. Ohio Dairy Farmers recently released an excellent public education video on the importance of humane dehorning. The 3-minute video, Dehorning: A Humane Practice Focused on Cow Safety, is narrated by a veterinarian who explains the rationale behind dehorning, advocates early-age disbudding and the use of pain relief, and demonstrates butane dehorning on a young calf. We applaud Ohio Dairy Farmers’ for their efforts in educating non-ag audiences about the practice of dehorning, and for their support of humane, early-age disbudding and pain management. Caustic paste is another humane option for early-age disbudding. Caustic paste disbudding with a local anesthetic (such as the one administered to the calf in the video) has been shown to be less painful than hot-iron disbudding with both a local anesthetic and a sedative. What’s more, when disbudding is performed at 3-5 days of age, there is usually no need for squeeze chute; just mild restraint is necessary. What do you think of the Ohio Dairy Farmers’ dehorning video? "Analgesia and sedation are not practical, as some users will skip them to save time, leaving the industry open to videos of abuse." The writer is correct about some producers skipping analgesia during dehorning. Although the American Veterinary Medical Association recommends the use of pain relief for procedures like dehorning, a survey of U.S. dairy farms found only 12 percent of producers used anesthetic (nerve block) on dehorned calves, and only two percent used analgesia (pain relief). A similar survey of Ontario dairy farms found 23 percent of producers use lidocaine nerve blocks at the time of dehorning. Yes, administering pain-relieving injections and/or medications takes time and costs money. But it’s the right thing to do. Not only because of the AVMA recommendation, but also because pain relief reduces stress on the animal, potentially impacting everything from weight gain to disease resistance. And, to the writer’s point, using analgesia and/or sedation leaves the producer less vulnerable to accusations of animal abuse. Options for pain relief include xylazine to help calm the animal, lidocaine, an injectable anesthetic (nerve block) to control acute pain, and ketoprofen, a non-steroidal, anti-inflammatory drug (NSAID) for post-operative pain relief. Most important, early-age disbudding with caustic paste has been shown to be less painful than hot-iron dehorning, even when a local anesthetic is used. Do you use pain relief for dehorning? Why or why not? Todd Duffield, DVM, DVSc. Ontario Veterinary College, University of Guelph. Current Data on Dehorning Calves, AABP Proceedings, Vol. 41, September 2008. Vickers, K.J. et al. Calf Response to Caustic Paste and Hot-Iron Dehorning Using Sedation With and Without Local Anesthetic. April 2005. J. Dairy Sci. 88:1454-1459. "Dehorn Calves Early" (Hoard's West - Nov. 2010) is authored by Aurora Villarroel, DVM, Assistant Professor, Rural Veterinary Practice, College of Veterinary Medicine, Oregon State University. The AVMA recently posted a great video titled "AVMA's Policy on Pain Control for Dehorning." The AVMA makes some very good suggestions for reducing the pain associated with dehorning, and the video shows some calves being disbudded using a hot-iron. The YouTube video can be viewed below. The video is also available on AVMA TV. 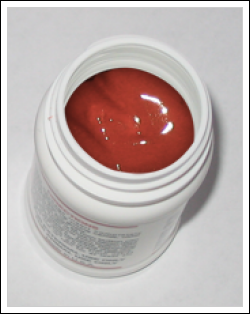 Caustic paste is another way producers can minimize dehorning pain. According to a University of British Columbia study published in the Journal of Dairy Science, caustic paste is less painful than hot-iron, even when both a sedative and local anesthetic are used. What do you think of the AVMA recommendations?